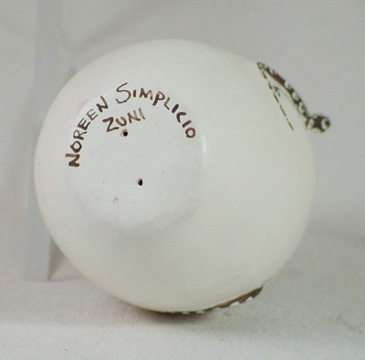 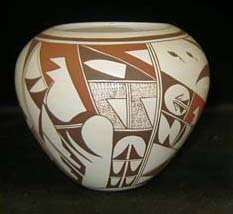 This is an authentic hand made, and hand painted seed pot by Noreen Simplicio arguably one of the most famous potters from the Zuni pueblo. 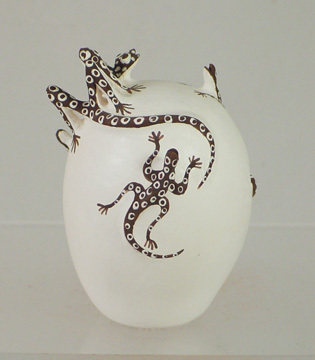 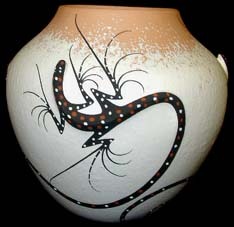 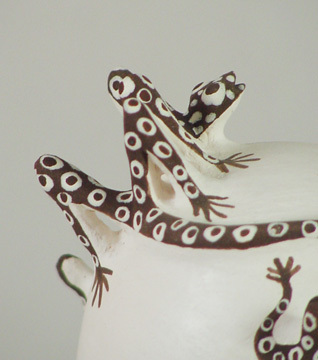 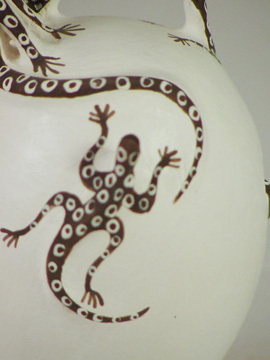 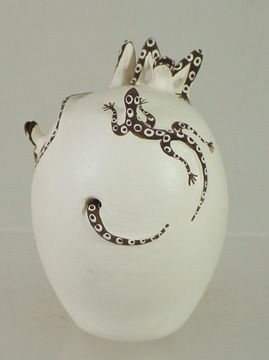 Noreen's pottery featuring designs containing the geometric patterns around lizards and heart-line deer are among the most sought after in the Southwest. 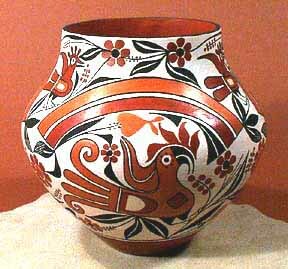 The pot is essentially perfect in its symmetric form and the execution of the decorative design is superb. 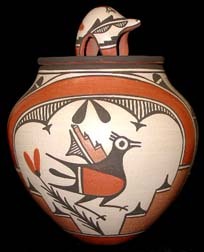 Considering the combination of shape and decoration, this piece is certain to enhance both the aesthetic appeal and the investment value of any collection of pueblo pottery. 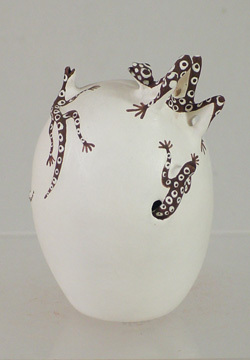 All the elements to construct this wonderful piece were provided by Mother Earth. 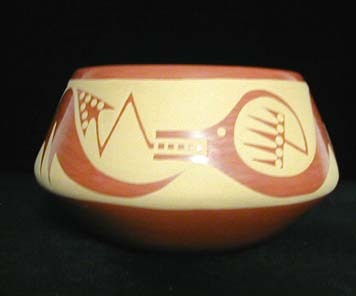 The clay was gathered from around the Zuni pueblo, was hand coiled into the bowl, and fired over open ground (not in a kiln). 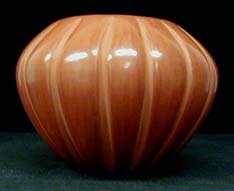 This bowl measures 3.5 inches in height and 3 inches in diameter at its widest part, and it is a magnificent example of the artistic prowess of its creator. 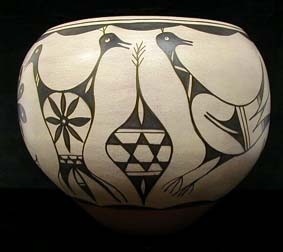 Noreen Simplicio has won numerous awards and is featured in several publications on Native American Art.